15672 Carriedale Ln #3, Fort Myers, FL.| MLS# 216062614 | Southwest Florida Residential Real Estate for Sale. 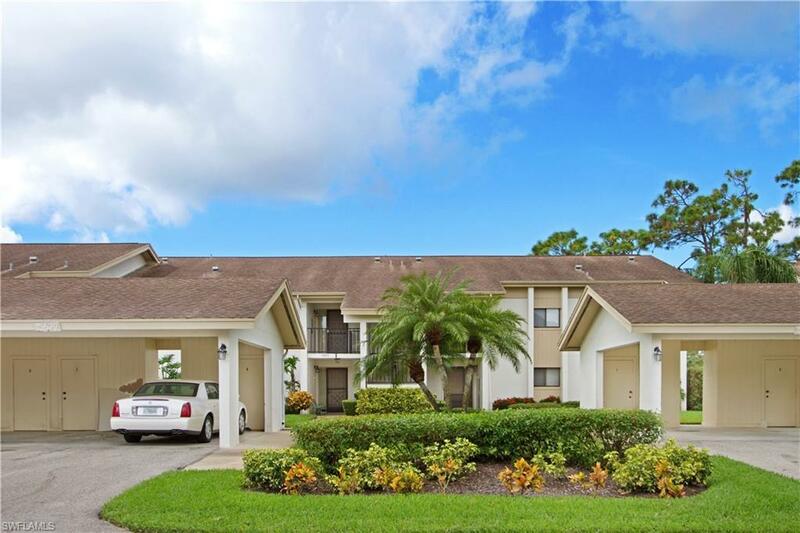 Amazing views from this turnkey, 3 bedroom, 2 bathroom, 2nd/top floor condo located in Fiddlesticks Country Club. The large screened-in, tiled patio overlooks the lake and features electric storm shutters. The patio opens from the living room, master bedroom, and a guest room. The large kitchen is great for the cook in your family offering plenty of counter space. The master bath has separate "his and her" sinks and a lovely chandelier hangs over the large tub. Conveniently located near dining and shopping, including the brand new Whole Foods, Fiddlesticks offers 2 championship golf courses, clubhouse with casual and formal dining, 8 Har Tru clay tennis courts, new 7, 000 square foot fitness facility, new resort style zero-entry pool with cabana bar and pool-side dining, and many social events throughout the year. No CDD fee! Equity membership fee of $50, 000 due at closing.